I’ve wanted to see this show for months, and it has been well worth the wait. 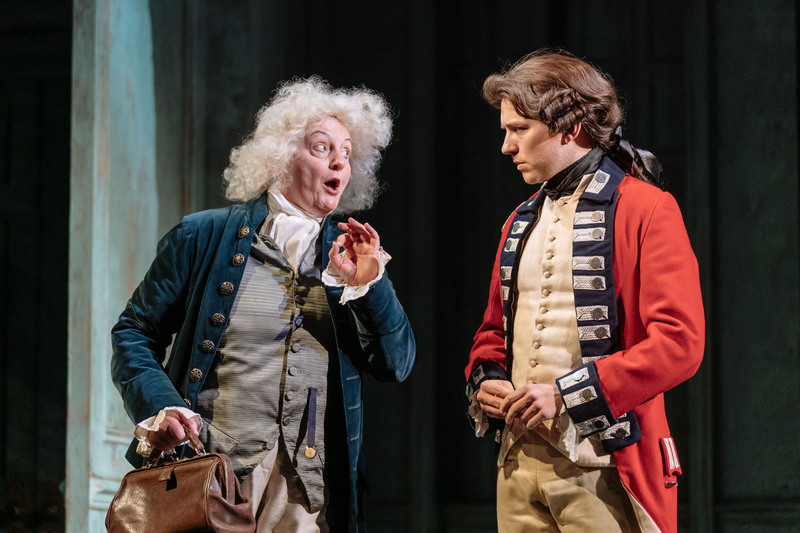 The Madness of King George III is a compelling, tragic and in some places entertaining tale about the crippling mental burden of authority and the ignorance of medical practice in the 16th century. 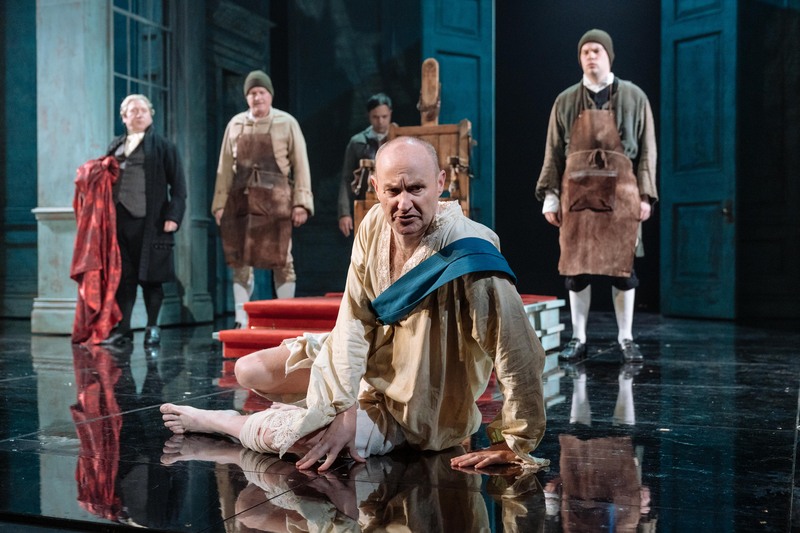 As expected, Mark Gatiss was the absolute highlight of the play. 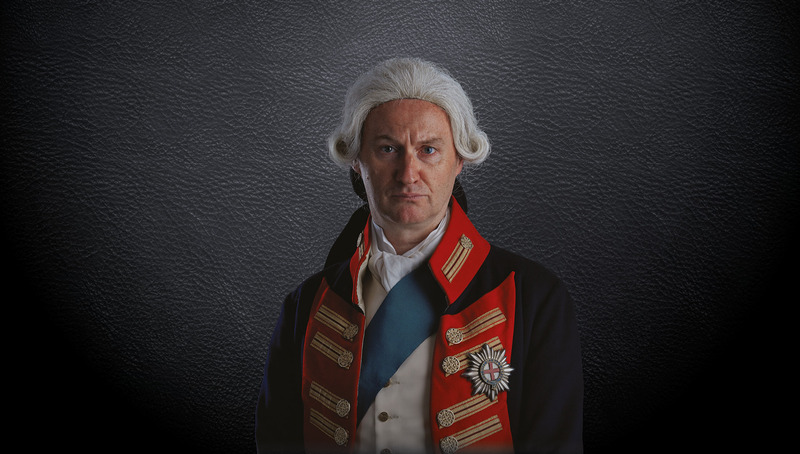 He portrayed George III’s fall from grace and derangement excellently, to the point that it was disturbing to watch; exaggerated but at the same time believable thanks to the remnants of George’s former self that shined through even when he was at his lowest. Seeing an actor I’ve always associated with rationality and composure in such a physically and mentally crippled state isn’t something I’ll soon forget. Unfortunately, these two characters were the main ones that stood out to me in any capacity. I’m not saying the other performers were terrible; I’d have to work very hard to criticise the skill of anyone on stage. It just felt like, for a play so heavily focused on the story of a single person, there were a few too many characters. I can think of three off the top of my head that could have been removed entirely with no consequence to the story. While I realise the play uses historical events and you can hardly remove people from history, I felt like the abundance of characters dragged the narrative down. I had similar doubts with the script itself in places. 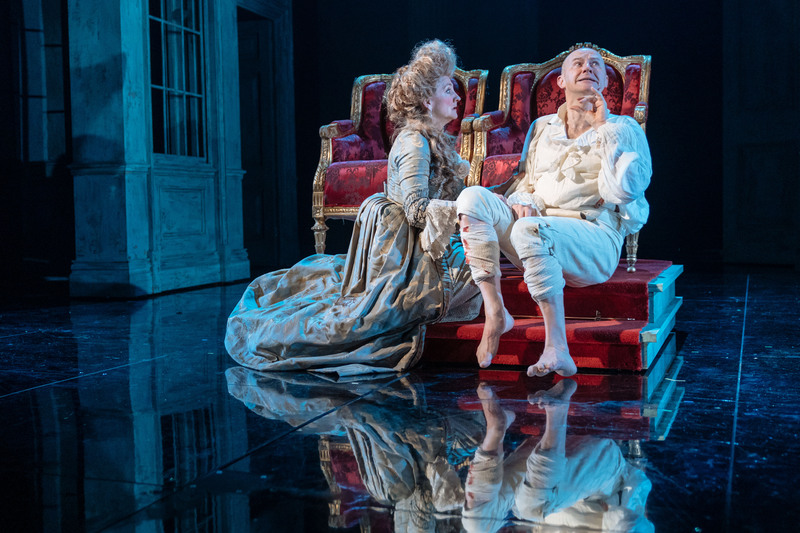 The play has a lot of dialogue, a sizeable fraction of which never really leads anywhere. Again, I understand that this was most likely an effort to recreate the conversations that the King’s Court held, but I think a lot of it could have been cut out. I have to reiterate, though; these are the only problems I had with the writing. The actors themselves did a phenomenal job with it. I’d also like to give massive props (pun possibly intended) to the people in charge of the stage and costume design. I loved the aesthetic of the costume and the set, and the staging lent itself to some of the most efficient transitions I’ve seen in a show in a long time. I’m a big fan of rotating sets, and George III had that in spades. Instead of relying on intricate designs, all the cast had to do was position the main two stage pieces in different ways to show a change in the setting; that combined with good use of lighting made every location iconic and memorable with the absolute minimum of actual change. Overall I’m delighted I finally got to watch this show. Despite my complaints, it was still an excellent piece of theatre that made for an enjoyable if harrowing few hours that I’ll remember for a long time. 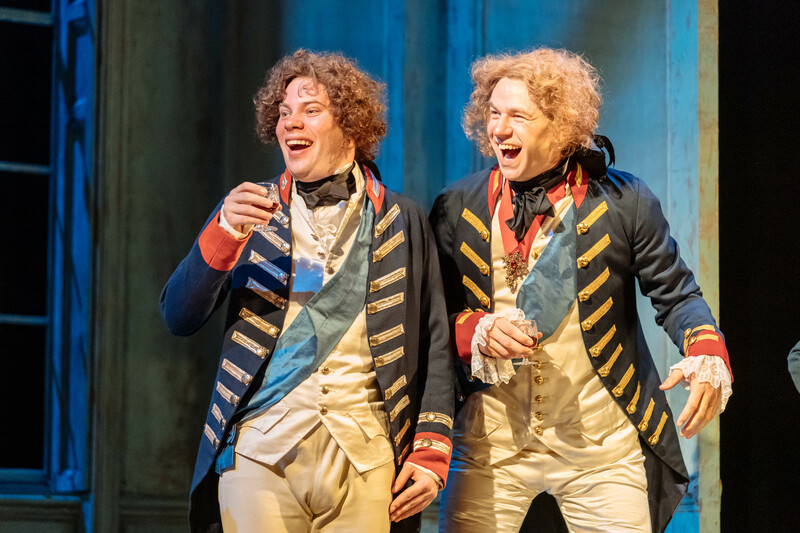 Showing reprises like this one mean you’ll never have to miss your favourite theatre show again. Head to the Dukes website to find more of their Stage On Screen events!